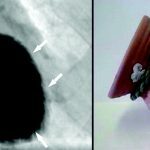 Why single out heart attacks in women? Dealing with the societal “requirements” and to “keep up with the Jones,” all of the women in my life hardly have time to themselves. When they do get time to relax, 9 times of 10 they are already exhausted and feel fatigued. Heart disease is the predominate killer of women in the United States and deserves our full attention. Heart attacks in women, or a myocardial infarction, tend to have some different signs and symptoms than in men. 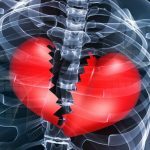 What signs and symptoms occur with heart attacks in women? What should I do for someone who may be experiencing the signs or symptoms of heart attacks in women? First and foremost, remain calm. Heart attacks in women, as like men, are scary. Lessening this anxiety will also help reduce the demand on the heart. When the myocardium, or heart muscle, demands more oxygen than is available, further injury can occur. This demand can escalate with anxiety and the enzymes produced naturally under stress. As with any other medical emergency, 911 or your local emergency medical service should be activated. Natural hormonal changes as women age can mask or cloud the signs of a heart attack. When I interview a patient, their “gut” or instinctive feeling is generally fairly correct. Taking this interview and other clinical signs and symptoms can help put the pieces of the puzzle together. It is important to openly communicate with your healthcare practitioners to allow them to form the best treatment plan. The definitive diagnosis and treatment of heart attacks in women can move rapidly and should not be delayed. How are heart attacks in women diagnosed? Like in men, heart attacks in women are diagnosed in the same manner. Generally, someone who has the signs and symptoms of heart attacks in women leads us as practitioners to look for the clinical signs of an active heart attack. An EKG, or electrocardiogram, is a quick non-invasive test that can show if an active heart attack is occurring. Should this EKG show a “STEMI,” further care would quickly be put into motion. Many emergency medical services have the ability to obtain and forward EKG’s for earlier activation of definitive care. Other tests for heart attacks in women may include blood chemistry and an echocardiogram. 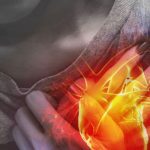 Heart attacks in women – what next? As with all of us, prevention and proactivity are the key to good health. Following your doctor’s advice and instructions will help keep you healthy. Learn about your risk factors for cardiac disease and how to manage them. Above all, keep an open line of conversation with your physicians. This helps to allow them to form the best treatment plans. Following physician recommendations can help prevent or lessen the effects of heart attacks in women. What should women do to prevent a heart attack? Many factors contribute to heart disease and subsequently heart attacks. Our article on heart disease risk factors dives into this! 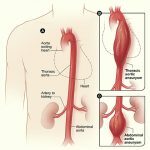 I’ve been trying to find a blog I came across last year with women in their 50s who had survived NSTEMI LADs who had no risk factors, no other plaques, and nml EF after just like me. It was an amazing blog; this population needs to be evaluated & followed. Mine was 2 1/2 years ago. Im actually glass not to have had stem cells w accessory artey growth. The pt. you wrote about who had a 2nd LAD had nml troponin owing to accessory flow? He was very very lucky to have immediate angio, dx and tx. I am a 78YO “young” female; work out in gym 6-7 days weekly. I had three(as far as I know) events preceding NSTEMI. First, 3-4 mos before NSTEMI, I had pain across and down chest in middle of night; stopped after 15-20 min and I slept rest of night; 2nd occurrence – cold clammy sweats and burning unilaterally upper arms-10x total over 3 month period (during day). 3rd time – unilateral upper arm burning and upper chest burning for 30 min. at night; Next morning at the clinic, I had elevated troponin but nothing much else. They sent me over to nearby university hospital ER. Troponin continued to increase (to 5.7); and docs continued to pow-wow over what to do with me. Finally (by about 2 PM) they decided to do angiogram, that resulted in PCI RCA 90, 80, 70. (plus LAD/D2 bifurcation a week later). I feel that my symptoms did not fit into a STEMI pattern that is easier to diagnose (and more dangerous), but this really peeves me. Also, one cardiologist is STILL not convinced that the cold sweats/unilateral arm burning really were indication of potential MI. Yes, women are treated differently than men b/c their symtoms are often NOT LIKE THOSE OF MEN. Pity the poor women across the nation using community and even regional hospitals (if they even get that far!) BTW, I had gone to the clinic a few years back with chest pains. No problems, but the RN reassured me… “It’s good that you came in b/c you never can tell.” So, in this NSTEMI case, I thought that going to the doc would also be a false alarm. Thus, I waited. I suffered with mild angina, cold sweats, tingling in extremities, fatigue and dizziness for 20 years. I’ve never smoked but doctors said I was “menopausal”, “post-menopausal” and “it’s your age” (I am now 70). Finally, I had a blackout on holiday last year which I reported to my new doctor who referred me to a cardiologist for tests. After inconclusive stress tests, ECG, dopplar, etc at 2 hospitals I was sent to another hospital for an angiography test, which resulted in angioplasty, and 2 coronary stents. Apparently my arteries are unusually fine, no plaque, and probably hereditary. The blackout was a TIA. What a relief that after only a month with my 2 stents, I now feel much more alive with enough energy to get through the day without pain, fatigue and breathlessness. I would recommend ladies to pursue any unusual symptoms, whatever your age and however mild your symptoms. Find a doctor with cardiac expertise who will not see you as a Time-Waster! Brad is originally from Charleston, South Carolina, with training from academia and time at The Medical University of South Carolina. He now resides with his wife and son outside Birmingham, Alabama. He is a Nationally Registered Emergency Medical Technician - Paramedic. Brad worked for many years in busy 911 EMS systems as well as critical care, neonatal critical care, and helicopter transport. He brought his critical care training into the interventional cardiology realm and is a Registered Cardiovascular Invasive Specialist with concentration in complex and structural heart procedures.